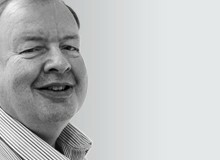 Charles Brookson, OBE, has over 30 years’ experience in security, preventing compromise, fraud, and theft of resources and is a regular keynote speaker who has worked with Industry and Governments at all levels. He has been Chairman at GSM Association Security Group for the past 25 years. He is also Chair of the ETSI OCG Security Group and various Government Panels. Formerly, he was Director of Standards & Technology at Department for Business, Innovation and Skills, Head of Corporate Security at one2one and in BT Corporate Security.